HOW LONG DOES IT TAKE TO BUILD AN APP WITH IBUILDAPP? 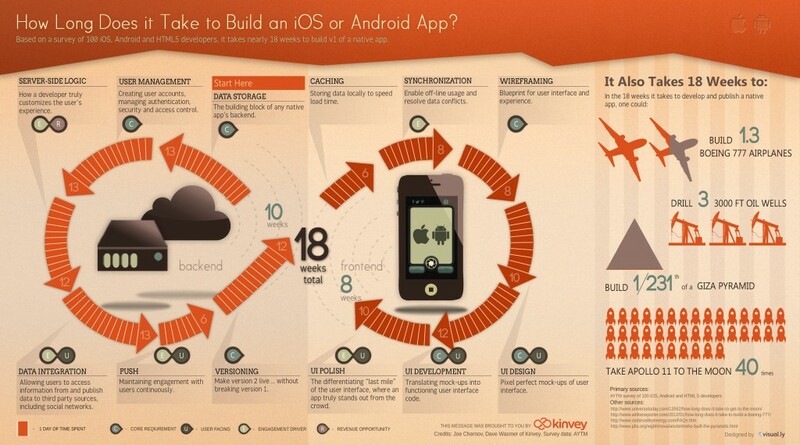 The mobile app building process is actually quite simple, but what about launching your mobile app? The last thing you want to happen is to put in all that work starting up the mobile app and then no one downloads the darn thing. That’s why we are here to help! Let’s dive in deep to help you understand all the steps you need to take for launching a new mobile app for your business. 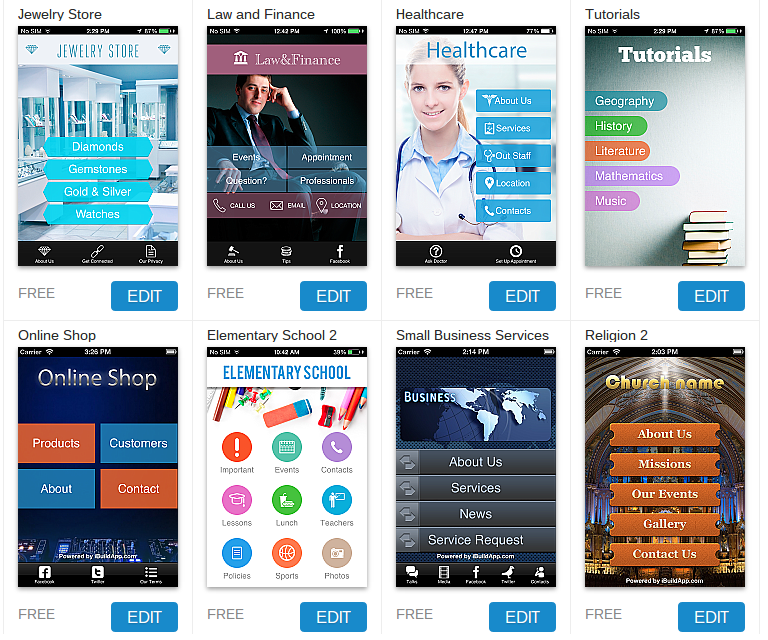 The iBuildApp store is filled with mobile app templates for you to get started. There are hundreds of designs to choose from, so you can make sure that your app isn’t just another duplicate from the store down the street. This initial step is all about industry branding. You want to make it look like your app is built for your golf course or restaurant, so choose one that is designed for your industry in the iBuildApp template library. 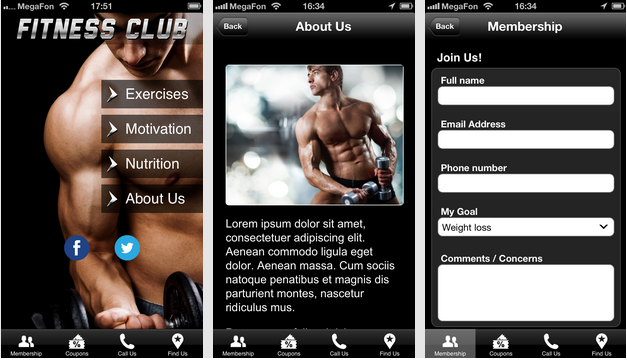 Sure, you might choose a fitness center template app and then think you are all set, but what about making the app look like it only belongs to your company? Branding is what guides people to keep coming back to your store over and over again. When customers see an Apple logo they immediately think the product is high quality. When someone sees a Geico gecko, they instantly think about insurance. Think about how you can modify the original mobile app template to help improve the view that customers have about your company. Change the colors in the app, upload your logo, include pictures of your staff and more. There are plenty of people you can ask before sending the app out into the world. Send the mobile app to your close customers and employees to see how they respond. Make changes if people find a button or feature or style not to their liking. This is also a nice time to generate a survey and see if there are any particular features that people would like to see in the future. You can’t always do everything on your own, so why not upgrade with iBuildApp to ensure that your mobile app gets the exposure it deserves? Spend your time working on the day-to-day aspects of your business and try the Basic, Enterprise or Business Plans to gain access to source code, priority support, white label branding, push notifications and app store submission assistance. 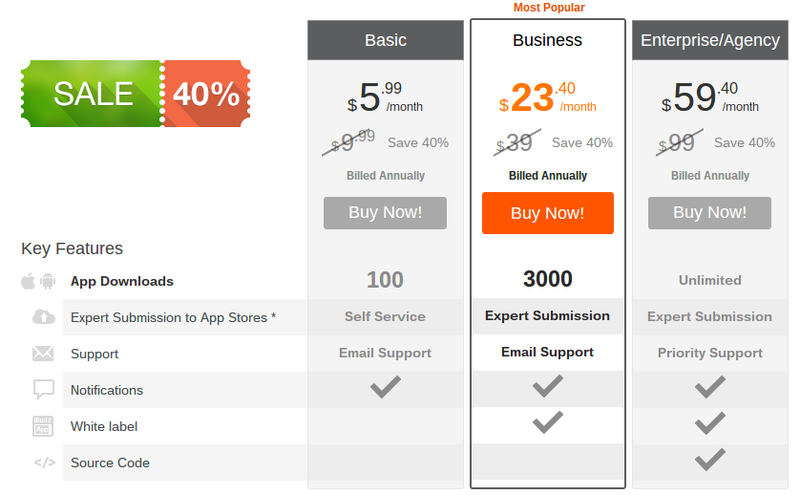 Go here to learn more about the pricing that involves you launching your mobile app the most efficient way possible. We at iBuildApp take pride in our promotional features, because they are so quick and easy that anyone can just login to get started within seconds. The five step process sends out your app to people you know, customers and anyone who might stumble upon your website. You have five options for promoting your mobile app. Start by sharing your mobile app through email and the many social networks that you have access to. After that you can embed a working version of your app on your website, so people can test it out before downloading it. Move onto generating a QR code so you can put this on marketing documents and digital content. Then customers can scan the code with their phones to download it on their devices. Try creating a custom banner to place on your website and generating a beautiful landing page, packed with descriptions, test views and buttons from the app stores you published the app on. After all this sharing, you shouldn’t have any problem with drumming up some business and ensuring your app is seen by everyone who is interested. Share your thoughts on how to launch a new mobile app in the comments section below. Let us know if you have any questions about the process, starting with building your app, all the way to sending the link out for people to download.